I really enjoyed the first season of Jessica Jones. The series had such a strong concept. It definitely wasn’t a super hero show, yet it featured a character with super human strength … who didn’t necessarily want her powers. She mostly just wanted to be left alone. The series felt far more like a thriller than an action-adventure. With David Tenant’s Kilgrave, the series also struck a deeply disturbing psychological note. Krysten Ritter’s Jones wanted to forget about her past by drinking herself silly, wasn’t interested in being nice, and certainly wasn’t out to save the day. I believe, overall, it may be the strongest of Netflix’s Marvel series due to excellent pacing, interesting characterization, a consistent tone, and a cohesive plot. So, as you have probably guessed, I very much looked forward to the second season. Unfortunately, I knew by the first episode that this season would be different. At the risk of sounding too harsh, all thirteen episodes of season two disappointed me. Jessica Jones: Season Two is cliched, boring, and a disservice to the first season. I don’t want to spoil too much, but Jessica Jones herself has gone from being charmingly cranky to just annoying. The huffs, the sighs, the eye rolls, the monotone vocal delivery — she’s become one-dimensional. All of those things seemed appropriate in the first season. Combine those things with the second season’s primary antagonist and she’s comes off as, well … a brat. And that pretty much describes everyone in the second season. Trish Walker, who was pretty interesting in the first season, is now a shadow of her former self and incredibly unlikable. Malcom is all over the place — a doormat one minute, a boy toy the next, and then a ruthless businessman? Wasn’t that Foggy’s character arc? Hogarth, the heartless lawyer, actually turns out to be the most sympathetic of all, but in doing so utterly contradicts every other previous appearance of the character. Luke Cage makes no appearance at all, which is a shame because Colter and Ritter had great chemistry and made season one very enjoyable. Kilgrave appears for five minutes, and those five minutes were a delight. Ritter and Tennant are amazing on screen together, which is partly why season one succeeded so well. Season two lacks any plot in which the audience can invest. Season one featured a real mystery and characters that were truly opposite of Jones that allowed her to shine all the more. In season two, everyone is kind of like Jones, which is, frankly, depressing. Everyone is damaged goods. There is no character representing hope, or nobility, or morality. When Jones is forced to be these things, it doesn’t work. She’s not especially hopeful, or noble, or moral. She’s fun when she gets to be the “bad cop” working off of others serving as her foil. It’s not fun when an entire show drowns in hopelessness, immorality, and dreariness. The show also falls prey to the worse of the genre’s cliches. Unresolved family issues that create arrested development — check. Evil version of protagonist with the same basic power set — check. Clandestine corporate entity that creates protagonist and antagonist for murky reasons at best — check. Misjudgment of audience’s interest in “origin story” — check. Mommy issues — check. 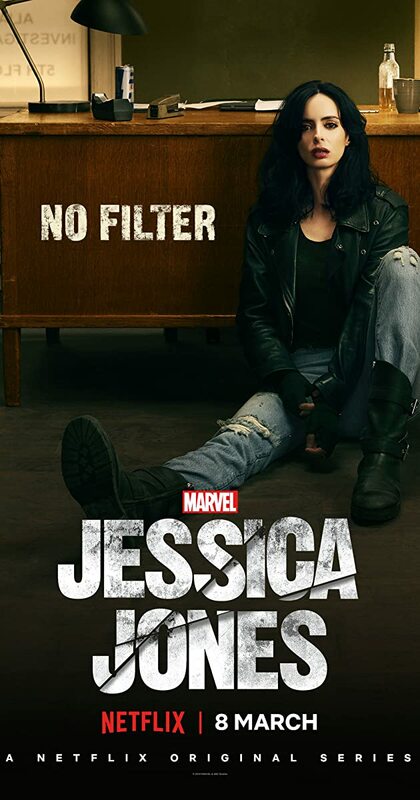 In my opinion, the first season of Jessica Jones may be the best of all the Netflix Marvel shows. The second season, unquestionably, is the worst. This entry was posted in Opinions/Editorials and tagged arts, entertainment, jessica jones, marvel, netflix, reviews, season two, tv.